Southern Family Snake Fist, is originated from Southern Shaolin Temple at the beginning,then expanded in society. The fist is the imitation of snake action, body coil, tongue spitting, hand mouth holding, body narrowing and running, for example. The fist is called Southern Family Snake Fist, who is full of the characteristics of Southern Boxing. Practice methods, exercises and skills appreciation consist of the fist. The way to learn and do practice are iron ball mouth-holding like grasping, iron links hand passing. By doing this, you can improve your snake fist attack and passing accuracy. 27 actions all together, whose behavior like a snake, so called Snake Fist. Hands shaking like snake tongue spitting, quickly action with many changes, abundant fist skills and vivid in attack and defense. You can use the soft force defeat enemy strong force without any mercy. 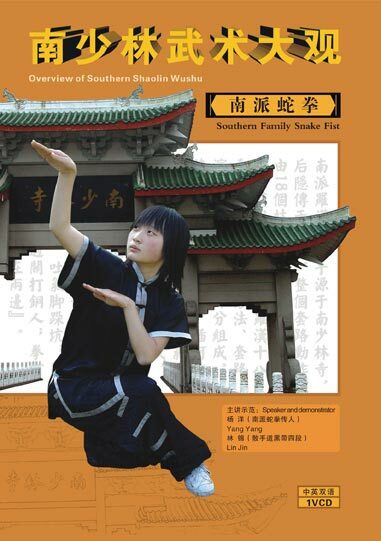 The script says, Southern Family Snake Fist is the one with fast action, mixed rigidity and flexibility, eyesight wide and force cover ranging all directions, standing in the middle of the line, be wised to guarantee it’s own sphere, body and pace move quickly, defeat the enemy hands first.